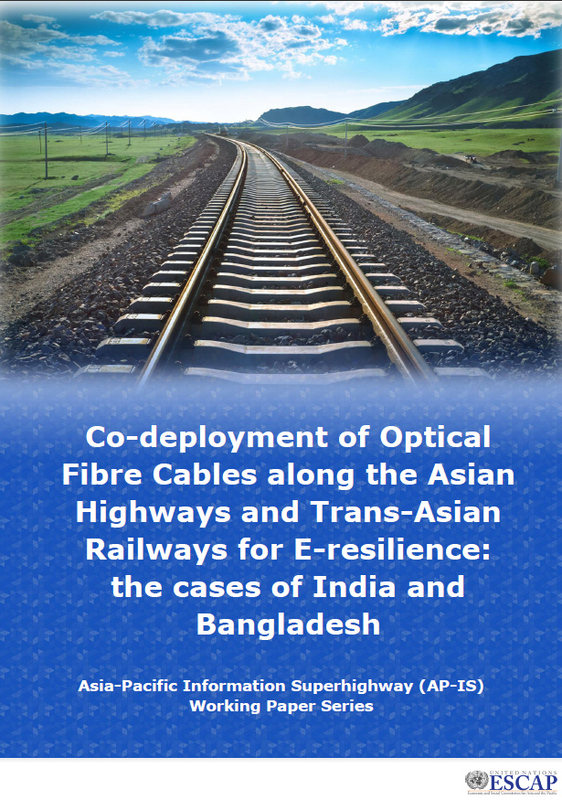 Thus, it is reasonable to look at both countries together to study the current status and emerging prospects of co-deployment of fibre-optic cables alongside the highways and railways against the backdrop of the Asia-Pacific Information Superhighway (AP-IS) initiative. According to recent ESCAP studies, co-deployment reduces the cost of laying fibre-optic cables and opens up avenues of potential revenues for public utility. In synergising the construction of roads and telecom infrastructure, road networks have become an important asset for economic growth and development. In India, a large portion of the fund for nationwide fibre-optic cables network (BharatNet) is spent on digging trenches for laying the conduit of the cables. Considering the ambitious road infrastructure plans in hand, India can save a lot of funds if the requirement of trenches for laying optical fibre cable (OFC) conduits is incorporated into the design at the time of building these roads. In the context of the AP-IS initiative, it is important to note that India is proactively pursuing an Act East Policy. Thus far, India already practices co-deployment through RailTel, which has exclusive seamless Right of Way (RoW) alongside its railway tracks passing through 7000 stations across the country. Similarly, Bangladesh Railway has planned to bring its entire network under an integrated telecommunication system by laying optical fibre line over forty-four upazilas (sub-districts) under seventeen districts to build a much safer and more secure train communication system. The major challenge facing co-deployment of OFC both in India and Bangladesh is to chart a roadmap for cross-sectoral coordination among the plethora of government departments, implementing agencies and telecom operators. Creating a conducive environment for such co-deployment and smart infrastructure will need a major coordination exercise among the multiple government authorities, regulators and the private sector.